Over the last eight months, I’ve written a series of posts detailing several best practices for enterprises using (or considering) the cloud. These are practices I encourage any technology executive or professional looking to transform their business and/or career to consider. They were first inspired by my time as CIO of Dow Jones, from 2012 to 2014, where the cloud quickly became the second most impactful means by which we changed technology’s role within the company (the first most impactful being the amazing team of people that made it all happen). Since then, I’ve had the opportunity to continue refining them through my work with other technology professionals, many of whom come from the largest companies in the world and all of whom are at various stages on a similar Journey. Over the last several weeks, I’ve found myself sharing links to individual posts as a follow up to some great conversations. I believe these best practices will lead to better results when they’re practiced in concert, so rather than continue to share links one-by-one I’m hoping that this post will serve as a useful table of contents into all the best practices I’ve written about. 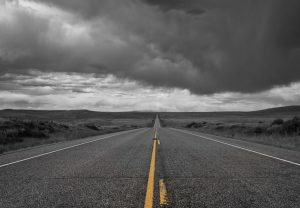 I wrote about meaningful cloud adoption being a Journey — an iterative process that allows organizations to move faster and devote their resources to the things that matter most in their business — in this post in September of 2014. Then, in December of 2015, I created this post as a kick-off to a more in-depth series examining some of the best practices that enterprises employ on their Journey. The “chapters” that follow contain links to all the posts I’ve authored on each of the best practices. I hope that you find this list useful, and I’d love to know what you think is missing!